Once you have confirmed the floorplan of your new dental clinic, it’s time to begin considering interior design aspects such as fixtures, furniture and colour schemes. These elements of your dental practice can have a huge impact on your patients and staff. 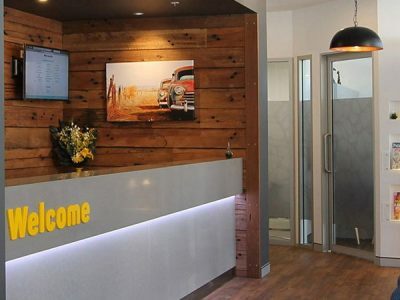 It’s critical to think about both your branding and your patient’s experience when brainstorming ideas for your dental clinic interior design plan. Even small things like the shape of your furniture can alter how your patients see your services. So it’s vital to get it right! In this article, we’ve put together a list of considerations for your dental practice interior design plan, so that you can examine possibilities from all angles. Do you want your dental clinic to look modern, fresh and vibrant? Or calm, soothing and neutral? 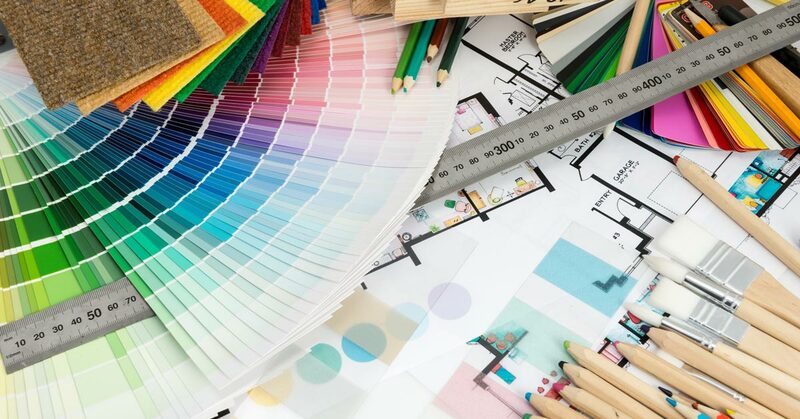 Whichever style you’re going for, lighter colours and shades are always best as they make your space appear more open and enhance a sense of optimism. You want your patients to step into your dental practice and feel safe, calm and clean. Think about your key demographic when considering a colour scheme. Younger patients will most likely be drawn to modern colour palettes such as white with splashes of vibrancy such as yellow or orange. Older people, however, may prefer calmer colours that generate a sense of security, such as tope or natural pastels. Try to cater to your ideal demographic while also remaining consistent with your branding. What kind of lighting do you envision in your dental clinic interior design plan? Bright white LED lights that provoke an association with sterilisation and cleanliness? Or warmer, shaded lighting that feels more placating? Will you have statement drop lights in the waiting room and more utilitarian lighting in the surgical rooms? Perhaps you’ll have one large ornate light at the reception area that acts as a centrepiece, surrounded by LED downlights. Your lighting scheme needs to fit with your furniture style, especially for the public areas of your dental practice. The focus in surgical rooms will, of course, be on the level of lighting needed for procedures. Stay away from white armchairs! Never invest in white fabric furniture, no matter how crisp it looks! You’ll end up spending more time trying to clean stains out of it than you will actually be seeing patients. Be aware of the spatial needs of your patients. It’s important to think about your patient’s needs when considering the size and placement of furniture. Don’t forget to leave enough space between seating for a patient with a wheelchair or crutches. Ensure that your seating is comfortable, but not like a lounge room. Older patients will have trouble getting out of squishy, sinking armchairs. Remember the purpose of the room. While elongated sharp edges on furniture may look bold and modern, they can sometimes be a hazard to small children and aren’t very space efficient. Furthermore, anything too design-focused may make some patients feel uneasy and alienated. Remember that you’re in a dental practice, not an art gallery. If you want a fresh and modern design, consider sweeping curves on desks and rounded coffee tables. Circular shapes make people more relaxed. Your dental practice fitout should have a distinct flow which will be enhanced by its interior design. 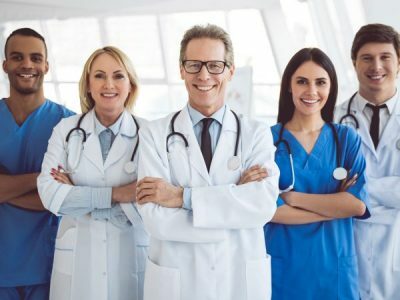 Your patients should not feel as though they have walked into a different building when they step from the waiting room into the consultation room. Certain design elements should carry through to all practice rooms so that everything looks and feels coherent. The surgical rooms, however, need to have functionality at the forefront. So it’s the waiting room where you can really embrace your practice image, transferring a more subdued version of this through to the other rooms. For example, your waiting room may have a feature wall that’s painted in bright orange, but this colour may be too distracting to use on the surgery room walls. You may wish to incorporate it in a few trimmings such as door cabinet handles instead. 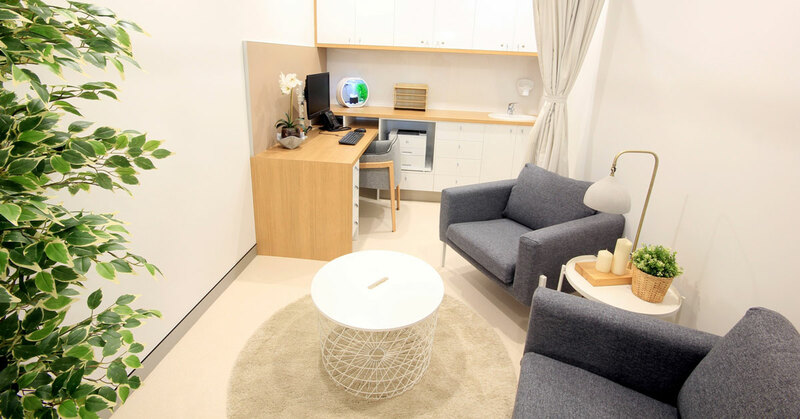 Dentifit are specialists in dental fitout design and construction within Australia. Our team of experts can create a unique and inviting dental clinic interior design plan for your practice. Contact us today to put your clinic’s best foot forward.